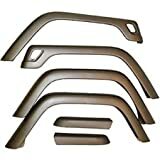 Product Description: The SpiderWebTM ShadeTopTM for Jeeps is exactly what Jeep owners have been looking for. The 2 piece combo sold as a pair fits beautifully right under 1995-2005 Jeep Wrangler Hard Tops, Soft Tops, and Bikini Tops, it does not get in the way, it NEVER has to be removed and you will love the way it looks! Product Description: This high quality, triple chrome plated ABS plastic grille overlay is very easy to install. 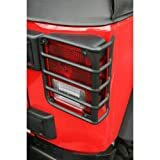 The high impact, triple chrome plated ABS plastic grille insert simply snaps into place! It doesn't get any easier than that! 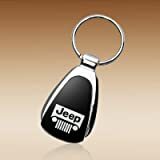 Product Description: This custom designed key chain has laser cut engraved Jeep logo on silver plate. Logo will never fade. 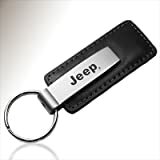 Genuine black leather with hinged steel key holder. Measures approximately 1" x 3-1/4". High quality brand new official licensed logo product. Product Description: This is an offficial licensed logo product. Product Description: This book picks up the story of Jeep's popular Cherokee from our book 'Jeep Cherokee & Comanche Performance Portfolio 1984-1991'. Road & comparison tests, performance and technical data, buyer's checklist, new model introductions, specifications. Models: Country, Grand Cherokee, Laredo, Grand Wagoneer, Orvis. 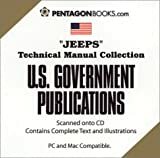 Product Description: From the Haynes repair manual series comes this manual covering the most popular Jeep models, the CJs', from 1949 to 1986. 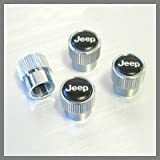 Product Description: Covers U.S. and Canadian models of Jeep Grand Cherokee. Product Description: Brand new high-quality license product. 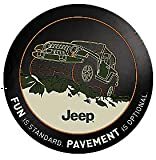 Product Description: Tell the other drivers on the road where you take your Jeep --- Off-Road. This is a standard size, aluminium license plate designed for the front of your rig (in states where you don't need a state plate there.) OR, it will look just as good on the wall of your garage or office. JEEP - OFF-ROAD - live without limits. Enough Said. Product Description: Premium Spare Tire Covers are made of a cotton/polyester blend with heavy-duty stitching and features an elastic anchor to securely hold the cover on the tire. These covers are custom fit to all listed tire sizes and are available in selected colors and logos.